Resident of Shiloh Valley arrives at his vineyard this morning, only to discover damage to hundreds of vines. Police open investigation. Binyamin police received Sunday morning reports of damage to hundreds of vines in a Jewish-owned vineyard in Samaria’s Shiloh Valley. The vineyard owner, a resident of the Shiloh Valley, reported that he noticed the damage when he arrived at his vineyard this morning. Police said that police forces, with the assistance of IDF forces, arrived at the scene, began collecting findings and opened an investigation into the incident. 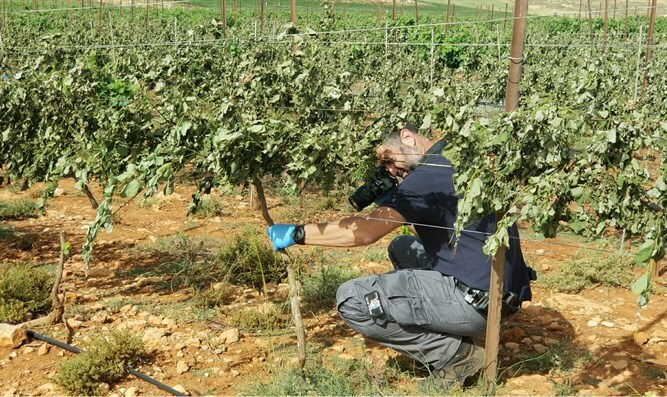 It should be noted that about a month ago, a farmer in Moshav Tomer in the Jordan Valley discovered that 140 young vines in his vineyard had been cut down with an electric saw. The cutting of the vines destroyed the entire vineyard and the damage to the farmer was estimated at hundreds of thousands of shekels.